There are only six Saturdays left in this year’s Pawtucket Wintertime Farmers Market season! 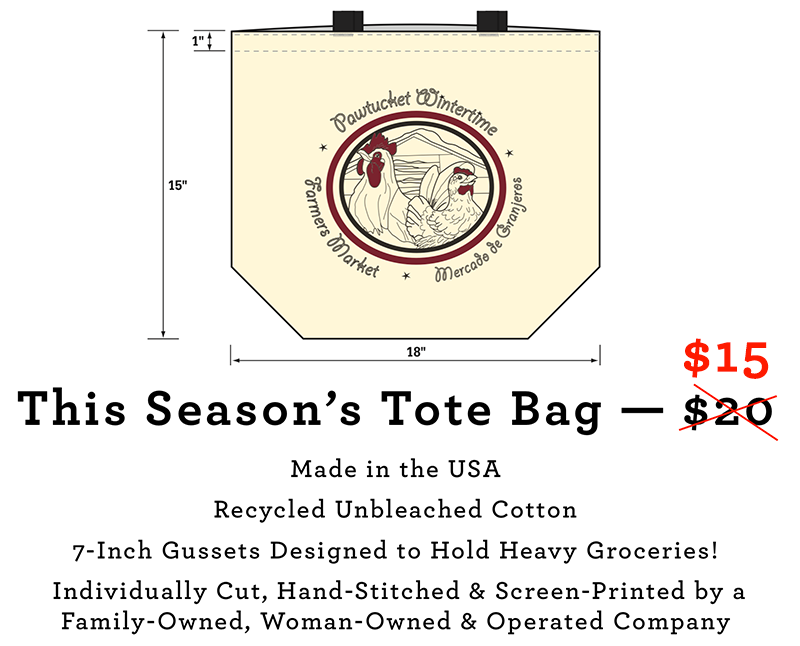 Take a piece of the market home with you with a tote bag — now on sale for $15! 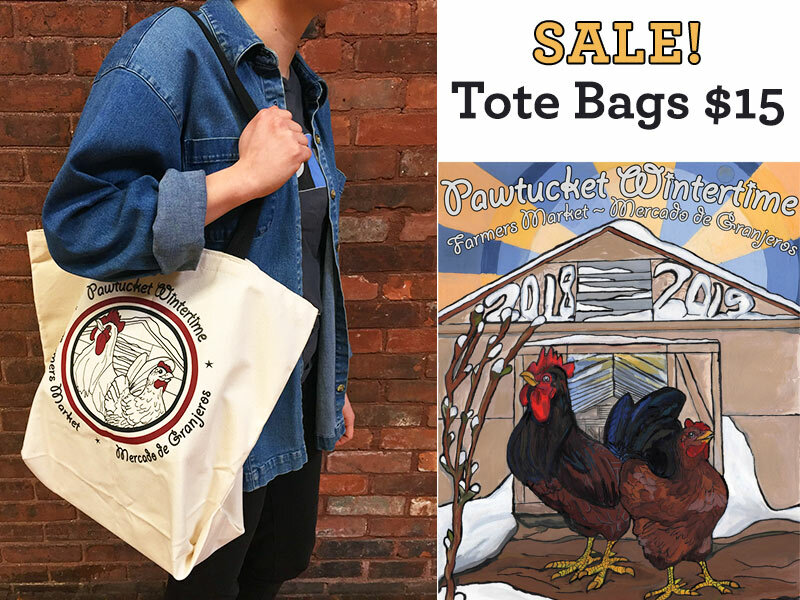 Pick up your tote bag at either of our front market Welcome Tables, when you enter from both the 999 Main Street entrance (Yellow Hallway) and the 1005 Main Street entrances (Green Hallway)! All proceeds from Farm Fresh RI merchandise sales go to our 501c3 nonprofit organization.